The spooktacular holiday is almost here and these awesome free Halloween printables for kids will make it even more fun and spooky. 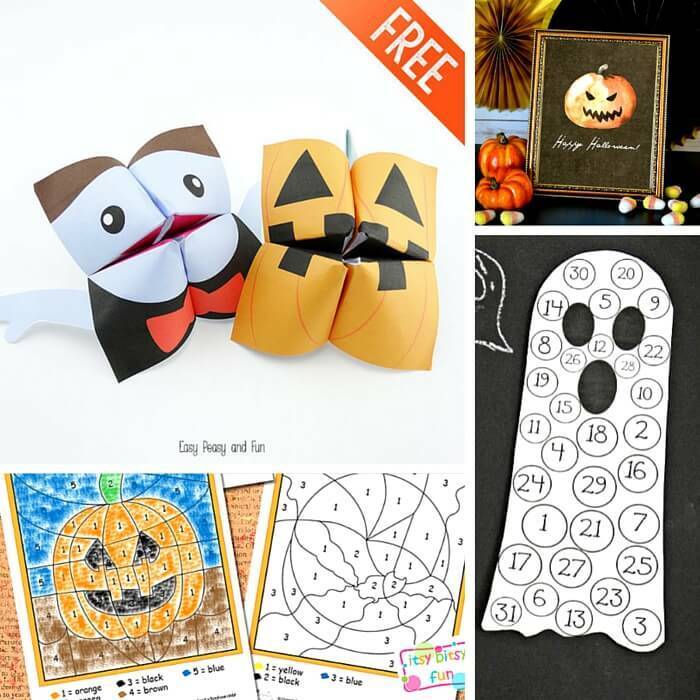 There’s something for everyone from printable colouring pages, Halloween cootie catchers to math worksheets and printable masks. A lot of fun for whole family! 6. Monsters are always fun. Here is a nice monster colouring sheet waiting to be coloured. 8. Make a lovely Halloween treat box for your little ones. These printables should help you do that. 9. There is no such thing as too much colouring pages. Here are more of them at lil luna. 11. Practice math with these pumpkin math worksheets. 13. A lot of creative drawing ideas are waiting for you to download them. 14. More Halloween colouring pages at Itsy Bitsy Fun are ready to be coloured. 15. Decorate your home with this beautiful countdown printable. It looks great when framed! 17. More than 30 pages of fun is hiding in this printable pack. 18. Combination of crafts and printables sounds fun. Try to make this ghost mask with free printable! 19. Scavenger hunt is always fun, especially for Halloween! 20. Some lovely Halloween toppers for your delicious cupcakes. 21. Decorate your hallway with these funny printables. 23. A lovely mini Halloween pack from 3 dinosaurs. 24. Cute do-a-dot printable is a fun way to keep your kids busy. 25. And here are some fun free printable masks for your little ones. 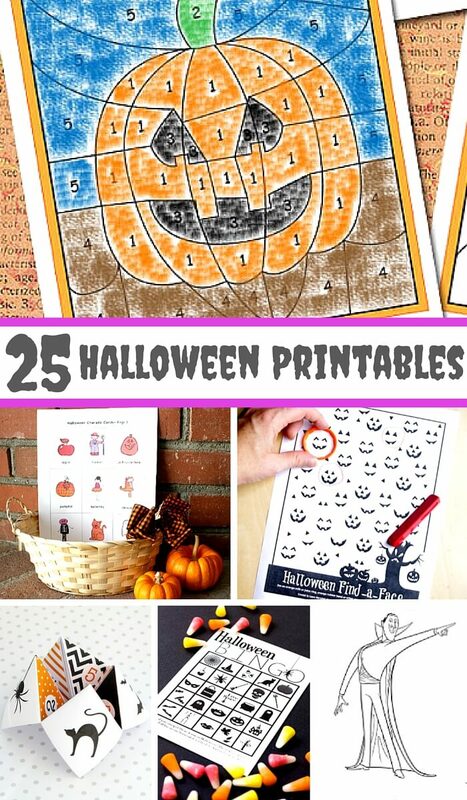 If you like these printables, then do check out our Halloween board for more, as well as other great Halloween ideas for the kids. Also be sure to Pin this post so you can print them any time you want. OOh definitely some half term winners here – must get the printer out! Wow- plenty to keep us busy here. Thanks for sharing! What fantastic choices – and I think not just for kids. Great for a journey too, to keep the kids occupied over half term.